Global information and measurement company Nielsen has featured fairly regularly throughout the past 12 months on The Next Web, with its insightful stats used to inform stories ranging from video-streaming on games consoles, to the age demographics of a typical Angry Birds player. Now, Nielsen has reviewed the year’s data and revealed the top online destinations, social media sites, and smartphone devices, and published its findings. The top dogs probably won’t surprise you too much. 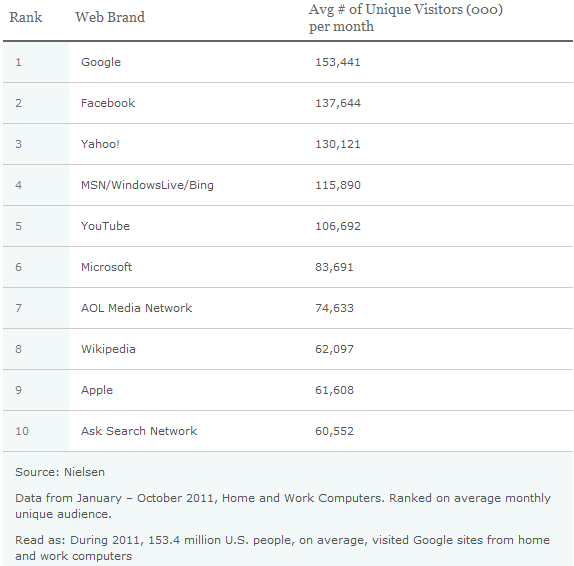 Google was the most-visited US Internet brand, while Facebook remained ahead of the pack in the social sphere. And what about smartphones? 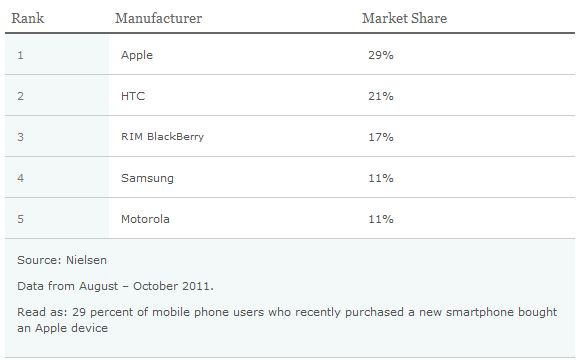 Well, Apple was the top smartphone manufacturer, though Android is the leading OS. With the formalities out of the way, it’s worth taking a quick peek at some of the figures though, to see what kind of numbers we’re talking about here, and what other players are in there. 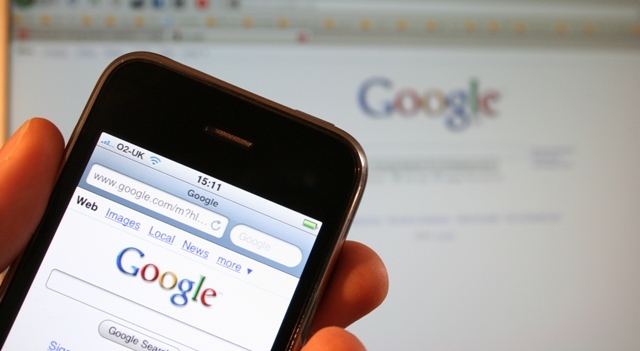 According to Nielsen’s figures, Google notched up over 153m unique visits a month, almost 20m ahead of Facebook. Perhaps surprisingly, Yahoo! is still a major player in the online space, with 130m unique visits, thanks in large to its news service. Facebook is way out in front in the social space with over 137m unique visits a month, securing almost as many visits than the rest of the top 10 list combined, whilst Google-owned Blogger is in second place with over 45m uniques. MySpace is actually still a reasonably big player, with an average 17m unique monthly visitors, though Google+, which only launched during the summer, already has over 8m and could easily catch up with the likes of Tumblr and LinkedIn in the coming months. 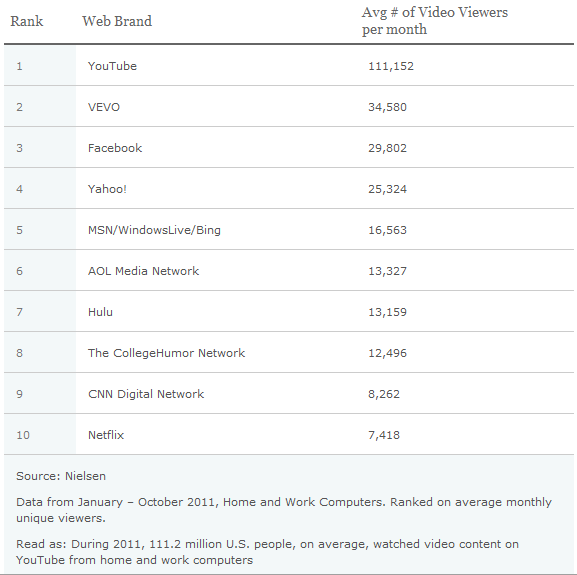 As with search and social, there’s no surprises that YouTube dominates the online video space in the US, with over 111m unique monthly visitors. Facebook is really beginning to cement its position as a sort of self-contained subsection of the World Wide Web, with it now the third most popular destination for consuming online video in the US. It’s been a massive year for Apple, as we reported earlier in our yearly review feature and, well, this is reflected in the smartphone statistics too, with Apple falling just short of a third of the market’s share. This was perhaps buoyed somewhat by the release of the iPhone 4S in early November. HTC has enjoyed a pretty fruitful year, despite it dropping 30% in sales in November, and it predicts it will return to growth in the first quarter of 2012. So, not a great deal of surprises in there, but it’s interesting nonetheless to see how the digital space is shaping across search, social, video and mobile. The top dogs aren’t likely to be knocked off their perches any time soon, but there’s definitely room for some changes in the various ladders. 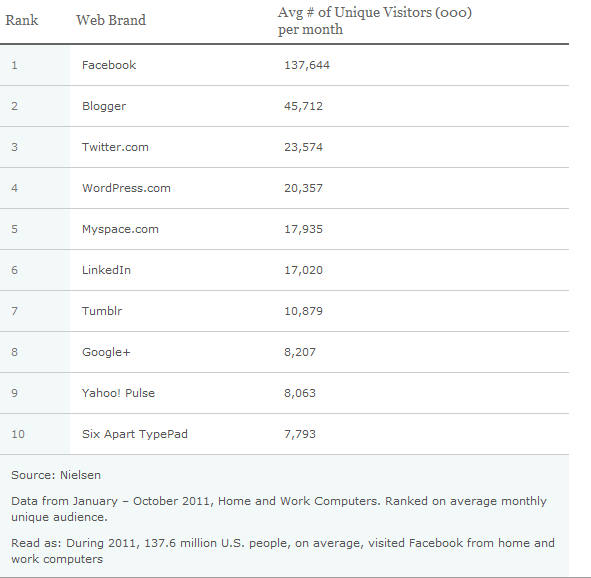 It will be interesting to see how this looks 12 months from now – will Google+ usurp Tumblr and LinkedIn? Will BlackBerry, Samsung or Motorola gain ground on HTC? Can Facebook displace Google as the website with the highest number of unique visitors? It will be interesting to see how things pan out.